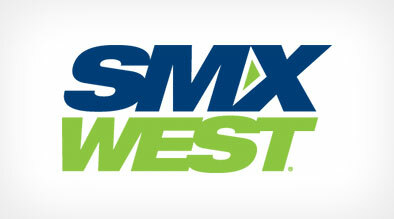 Tiffany Lane a Software Engineer from Google and Sasi Parthasarathy, a Program Manager from Live Search at Microsoft talked at SMX West to help answer some pressing questions about site indexing and ranking. Let’s start with indexing your website. Even though you may have taken all the right steps in building an great optimized site, once it goes live, one of your first priorities should be to make sure the site is indexed in a search engine. Create a Sitemap for your website. The easiest way to create a sitemap is by going to http://www.xml-sitemaps.com/ and creating a new one for free by using the sitemap generator tool. Make sure up load the sitemap onto the root level of the website structure or wwwroot folder. Submit your sitemap to all major search engine such a Google, Yahoo and MSN. Once you have your sitemap submitted to the search engines then you will ensure that your site will start ranking better right away. Another item on your checklist after the site is live is to create a robots.txt file. A robot.txt file simply allows you to decide which pages a search engine should be pulling up in a results page, and which pages it should not. For example, you would not want to take a customer to the “Pay Now” page that is asking for a credit card number before they have even decided what to purchase. You want to make sure that when someone queries a keyword that they are taken to the most appropriate page within your website. The easiest way to create a robots.txt file is to use Google Webmaster tool. Google will walk you through the steps of creating a robots.txt file. Once you’ve created your robots.txt file, save it to the root of your domain with the name robots.txt. This step is critical because if its not saved in the root folder and its not called robots.txt then its like you never created the robots.txt in the first place. Also, make sure that if you have a brand new website the body content of the site is also keyword rich. You want to try to find a nice balance between optimizing for SEO and over stuffing. Try to stick to picking a main keyword phrase for each page and include it once in each of the above place. In conclusion, when you have a new website its important make sure it’s indexed properly in the search engine as well as making sure you are getting inbound links to your website. A well optimized site will start appearing organically in a search engine over, but making sure your site is indexed and ranking well will not only give your website a boost, it is critical to the performance of your website.